TO BUY THIS BOOK, VISIT AMAZON. 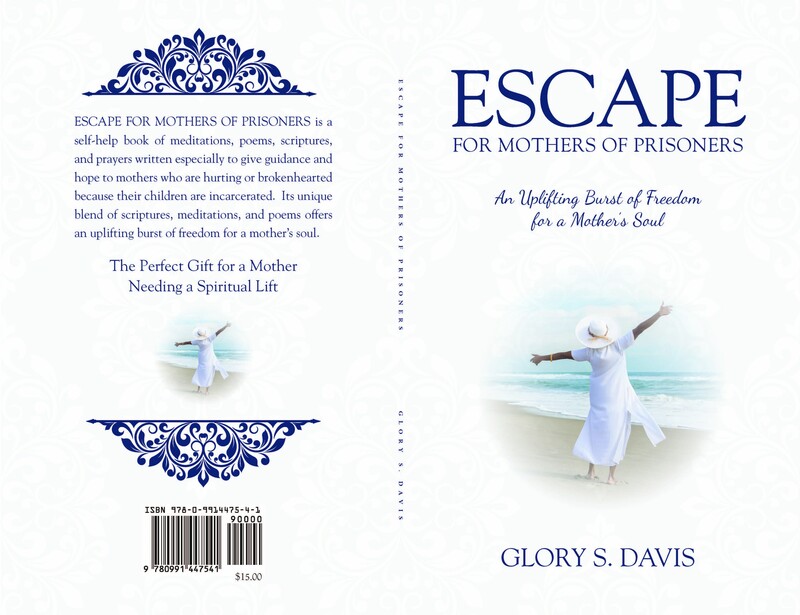 This clever and Inspirational book written by Glory S. Davis is what every mother of a prisoner needs . . . in order to experience a spiritual lift. Escape for Mothers of Prisoners is a book specially designed to help the mother who struggles each day because her son or daughter is behind bars. The life of a prisoner’s mother is not an easy one. It is essential that she receives both spiritual and emotional support. Because this is true, Glory S. Davis has written the perfect book to give mothers of prisoners a chance to uplift their souls. This inspiring book contains poems, prayers, meditations, and scriptures that are written to provide hope and guidance to the mother whose soul is broken because of a son or daughter’s incarceration. Glory Davis understands from personal experience the emotional roller coaster that a mother rides when her child is in prison. She knows the hurt; for she herself has felt the pain. Because she understands how devastating the role of a mother of a prisoner is, Glory S. Davis has utilized her experience as a certified lay speaker in the United Methodist Church and as an adult Bible class teacher to write Escape for Mothers of Prisoners. Again, the purpose of the book is to inspire, to give guidance, and to strengthen the spiritual life of a mother of a prisoner. However, if you are not the mother of a prisoner, Mrs. Davis wants you to know that her book is a spiritual, self-help book, which is the perfect gift for a mother of a prisoner who is in need of a spiritual lift. Buy one for a friend. Escape for Mothers of Prisoners, just released this February, 2016, is available for purchase from Amazon, Create Space, and through her website at glorysdavis.com.